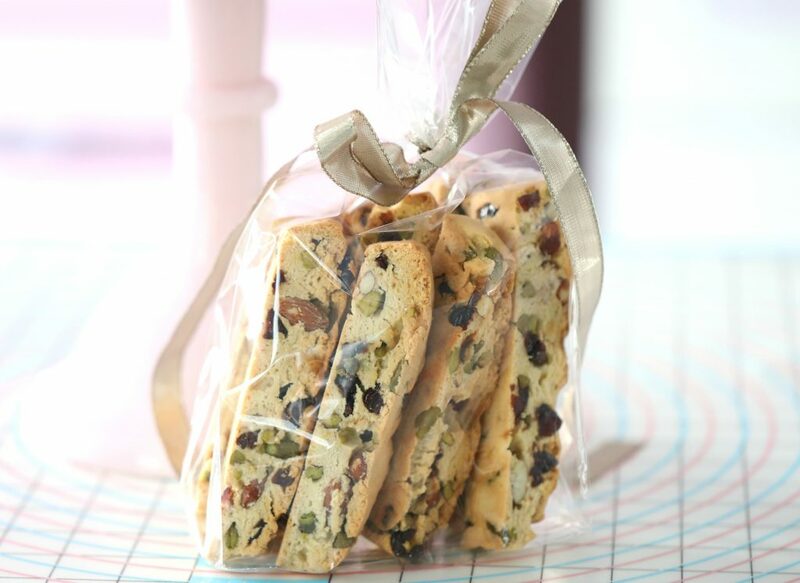 I love biscotti cookies; they are an excellent gift to give throughout the holiday season. 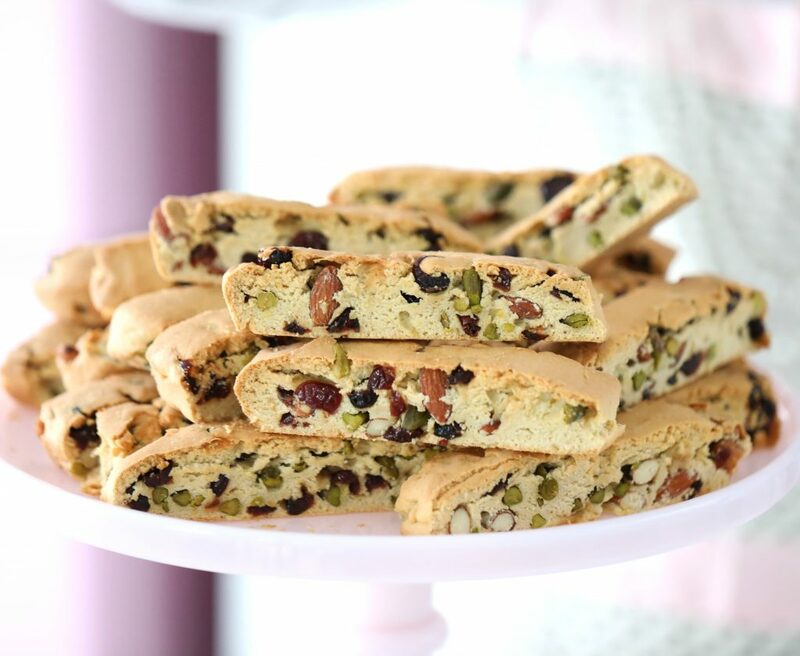 The colors of the pistachios and dried berries give the biscotti a pretty and festive look, which is perfect for the holidays. The almonds give these a delicious crunch. They are so super delicious! Spray a half sheet pan with non-stick baking spray. Sift the flour and baking powder, and set aside for now. low speed for 5-7 minutes, or until pale and fluffy about 5 minutes. Add half of the flour to the mixture a little at a time, and mix until just combined. Transfer the last half of the flour mixture onto your work surface and place the sticky dough on it. Work in the remaining flour by hand until dough is soft and smooth, add more flour if needed. 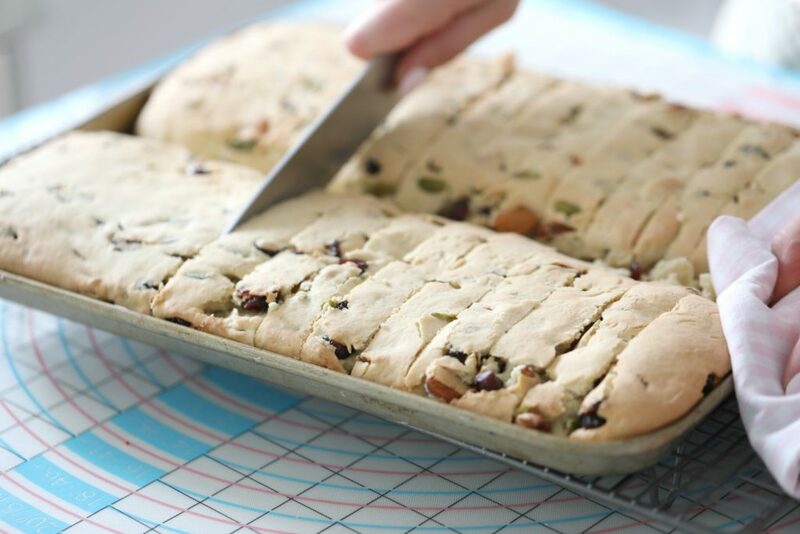 Flatten the dough with your hands, and Sprinkle the pistachios, almonds and dried cherries on the dough. Fold up to create an log shape. Cut in half and shape each log so that it fits the length of your half sheet pan. 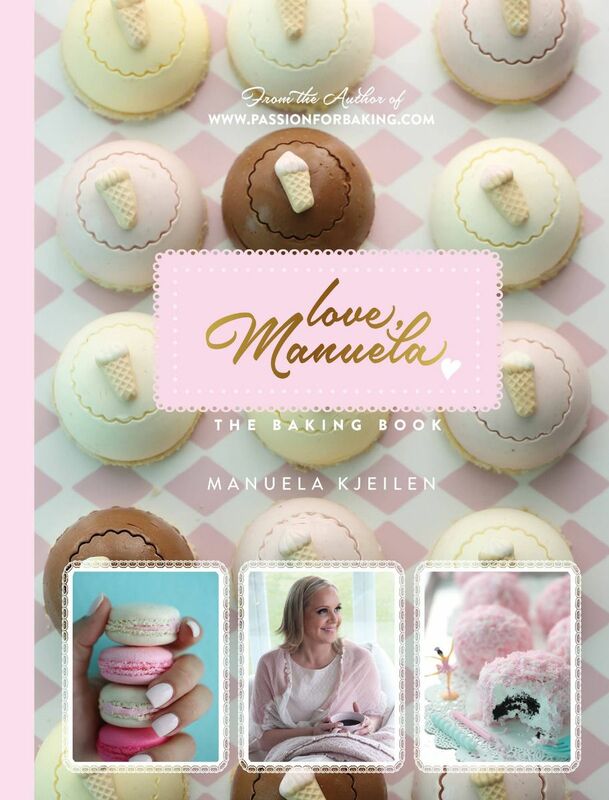 Use a lightly floured rolling pin to flatten slightly. Bake in the middle oven rack for 20-25 minutes or until lightly browned on top and around the edges. Remove biscotti from oven and slide onto a cutting board. Reduce oven temperature to 275°F (135 °C). Using a sharp serrated knife,slice logs on the diagonal into ½-inch (1 cm) thick slices. 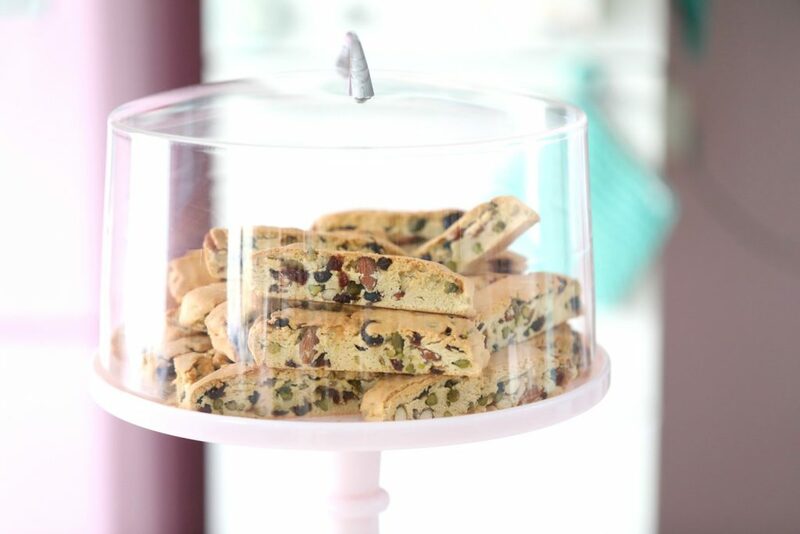 Arrange the biscotti on one or two baking sheets. Bake a second time until dry and crisp, about 20-30 minutes. I like my biscotti to be dry and crisp, but not too dark in color like many other biscotti cookies you often see, start checking after 20 minutes, depending on how you like them. The biscotti will keep in an airtight container for 3 weeks.